In today's world, it can be nearly impossible to find body wash that is not jam packed with ingredients that you cannot pronounce. Of course you can use these products if you are not worried about whats in them and their impact on your body and the environment. 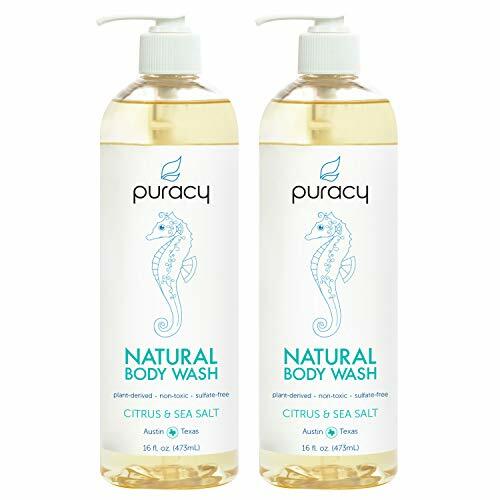 The best way to avoid harmful chemicals and ensure that you are using a green product is by using natural body wash. Now, there are plenty of natural body wash on the market today. So you will need to do your homework to make sure that you are buying the right product for the environment and your needs. Fortunately, that is why this article is here. 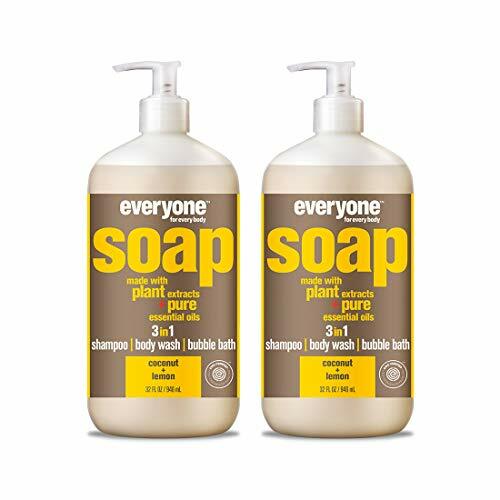 To help you find the right natural body wash for all of your body odor needs. The reason that you need to do research is because there are quite a few brands that will include chemicals and not so natural stuff. This is the kind of stuff you definitely do not want on your skin. But the best natural body wash will have ingredients that can greatly benefit your skin. So without further adieu, I am sure you are interested in what is out there and what to look for. Here is the best natural body wash for you to use. In the chart below, you will find our top 10 rated Best Natural Body Wash options. For a more in-depth review of each model, please click on "Read Review." What Is Natural Body Wash? Natural body wash is basically a blend of essential oils specifically picked to moisturize, nourish, and hydrate your skin. The oils inside can be a combination of many different kinds and the blend will determine what kind of result you get as well as the scent that is left over. Of course, certain oils are better for different kinds of skin. Some of the benefits of the essential oils includes antiseptic properties that can help with dry and flaky skin and potential acne. Not to mention, they can help make your skin smell awesome. Some common essential oils include tea tree, eucalyptus, lavender, and sandalwood. Now you are probably wondering why you would even bother with trying to find and use natural body wash. Well, using natural body wash can greatly help your skin and even your mental state. The main benefits for the best natural body wash is that it nourishes, moisturizes, soothes, and softens your skin. All of these benefits depend on the essential oils that are included in the natural body wash. It is all about the ingredients. When using natural body wash, it is important to know how much you are using and when to use it. Of course, you can choose to use as much as you like and as often as you want. However, with the price that many of these products are sold for, you do not want to be buying this stuff every other week. You will find that when it comes to body wash, soaps, and therapeutic bath wash, a little goes a long way. In terms of how much you should use, natural body wash should be used conservatively, because if you use too much, you will be left with dry and itchy skin. Check the ingredients on the label of the natural body wash for hydrating oils like coconut or argon oil. Getting a body wash with hydrating ingredients will ensure it keeps your skin soft and moisturized. Get a natural body wash that is fragrance and sulfate-free. Body-washes that contain fragrance or perfume can dry out and irritate your skin. Stay away from natural body wash with sodium laureate sulfate, sodium laurel sulfate, and cocamidopropyl betaine. These sulfates will strip your skin of its natural oils. Avoid natural body wash that lathers or foams to much. The lathering that occurs when the body wash mixes with water can strip the natural oils on your skin and make it very dry. Go for a natural body wash that lathers only a little bit. Use a small amount of natural body wash in the shower or bath. Squeeze out a dime sized amount of natural body wash, as you do not need much to clean your whole body. Avoid using too much natural body wash at once, as this can irritate or dry out your skin. Apply natural body wash to your body with a washcloth. Use a wet washcloth to apply the natural body wash from head to toe. Gently rub your body with the washcloth to help clean your skin and remove dead skin cells. Avoid using just your hands to apply the body wash, as it is more difficult to clean your entire body with just your hands. And you also use much more natural body wash when using your hands. Stay away from using a loofah to apply the body wash, as it can harbor bacteria and germs. It can also increase your chances of developing acne. Do not put natural body wash on your face. Natural body wash is made for your body only. Use a facial cleanser for your face. Putting natural body wash on your face can increase the risk of developing skin irritation and dry patches in this area. Rinse natural body wash off with warm water. Once you have cleaned your body with the natural body wash, use warm water in the shower or bath to rinse it off. Make sure you get all the natural body wash off of your skin. Having soap residue left on your skin can irritate and dry out your skin. Now, there are a lot of natural body wash's out there, but they are not all equal. You need to find the natural body wash for you specifically because every skin type is different. The type of essential oils being used is the most important thing to look at. So, here are some things to keep in mind. Nothing artificial! If you see any chemicals or artificial additives, stay away. Actually, if the brand you are looking at doesn't even lay out the list of ingredients on the back, it is best to avoid that at all costs. Look for essential oils that can greatly benefit your specific skin type. Find a scent that you enjoy smelling, you will be wearing it all day. The essential oils that are in the natural body wash will make up the scent, so it is important that you find one that you like. Now that being said, some people like a more strong scent, while others do not. So read up on the brand you are looking at and see what people are saying about the scent. Certain ingredients in natural body wash's can further aggravate your skin, depending on the type of skin you have. If you struggle with acne, you will need natural body wash that contains essential oil with antiseptic or anti-inflammatory properties. Some brands will actually state on their labels or packaging that they are meant for sensitive skin. Labels like that are a good thing to be on the lookout for. Now, there are also other natural products that you can use to wash your body with. In fact, there are two. Body wash and natural soaps. Each of these have their own unique properties, benefits and drawbacks to be aware of. Now even though this article focuses on natural body wash, it is important to know a bit about the other options available, so you can make the best decision. 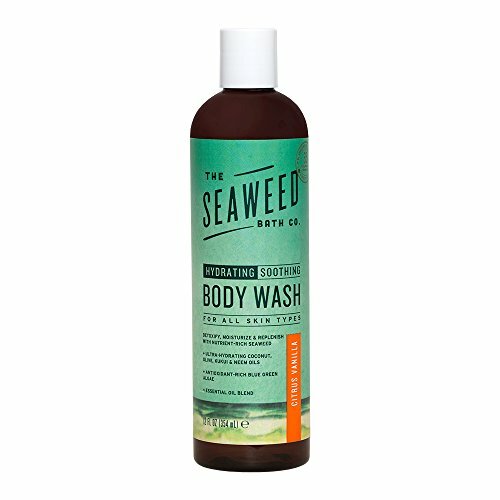 Natural body wash is the most basic of the three and the focus of this article. It is mainly used to keep your skin soft, moisturized, and smelling great. However, natural body wash has been known to cause dry skin. Natural liquid body soaps contain natural ingredients, whether the formulas are entirely natural, or merely contain some natural components. Often natural body wash is scented with floral, herbal, or fruit extracts. Some of these extracts are in the form of oils, and are made by soaking the plant in oil so that the oil smells like the plant. This oil is then added to the body wash. You should consider whether you want a nature-scented body wash that is made from all natural ingredients, or if you prefer a synthesized version of the smell. The best natural body wash out there will have a few common features that you should be on the lookout for. These should be common features and oils without these should be last on your list of products to try out. Natural ingredients. You do not want artificial additives or chemicals in or around your skin. Hypoallergenic. This helps you to avoid any bad situations when applying. Great scent. Now scent is objective, so just pick the one you like the most. No added fragrance or scent. Natural body wash is a necessity for anyone who really cares the environment and what they are putting on their skin. Choosing the best natural body wash for you is an important step and can significantly impact your skin health. Be sure to check out our individual reviews of our top 10 best natural body wash options in the next few days, as they go up. For more information, check out the rest of what Green and Growing has to offer.